I used to do a resolutions list every single 31st of December of every year. It always felt as if the beginning of the new year would bring the new opportunities, the new hopes, for the life of my dreams. My resolutions list for 2014 was different. It was not focused in the common wishes like losing weight, exercising, eating healthier, etc. They were mainly focused on writing goals and other objectives that would lead me to achieve the personal growth I wanted to achieve. I reviewed that list in the early days of December. I found out I didn’t achieve most of them, not because I’ve been lazy, procrastinated, etc. but because most of them were not the the right goals. In 2014, I started to find my way, to grow as a person, to understand what I wanted to do with the rest of my life, to work hard on it, and to persevere until I learned what working hard on your dreams really meant. I completed all of that. This December 31st, I sat down with an empty paper ready to write my 2015 goals. It took me less than 15 seconds to realize that I didn’t have to write anything else. I knew clearly where my mind was heading, I knew what I have to do, I knew I was already working on it, and finally, I recognized that I was just fine, I was doing what I always wanted to do and I was on the right track. So, there was nothing else to write, things were crystal clear in my head as to how to proceed and act. Of course, I still have some big goals for this year, but I know them by heart, I don’t need to write them down or make an elaborate plan on how to achieve them, I already know how. I already know that it’s just about hard work, and I’m already into it. Gosh, this feels so wonderful. And you, do you write resolutions every year? do you achieve them? 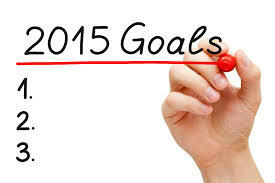 did you write resolutions for this year? I would like to hear about you in the comments.